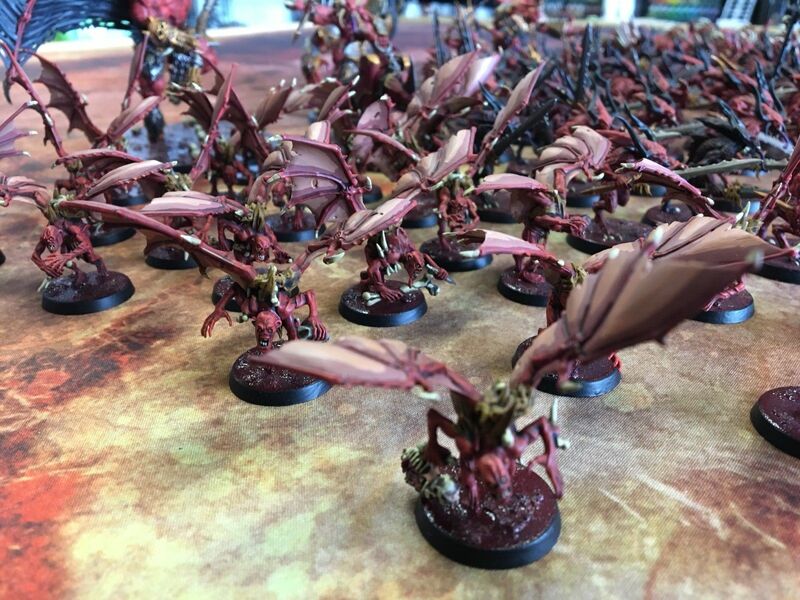 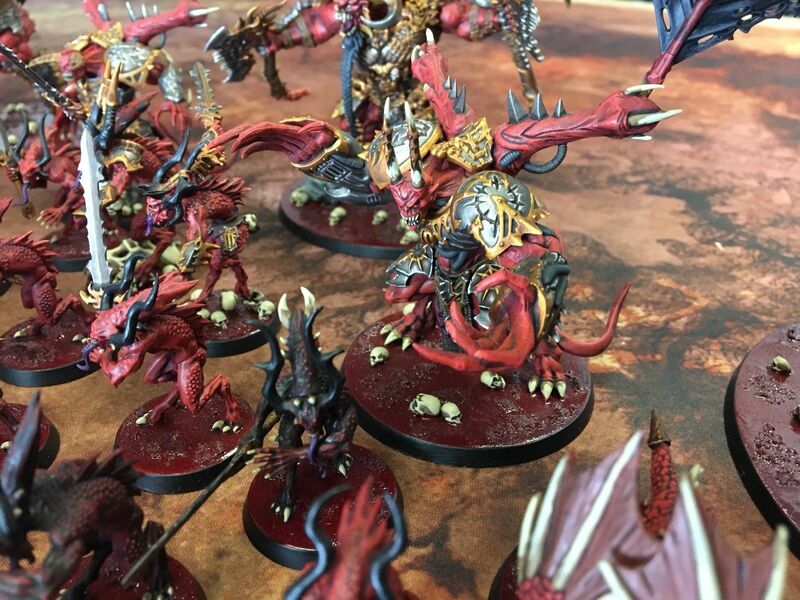 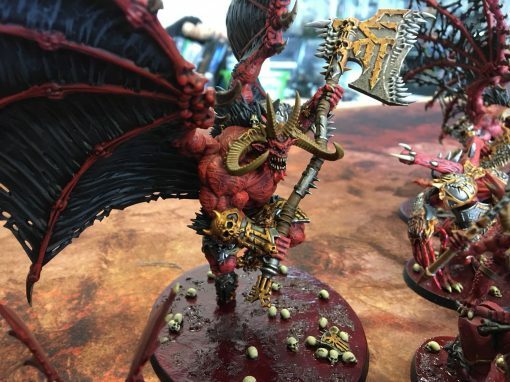 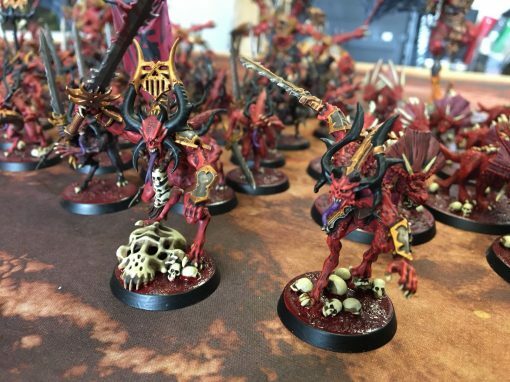 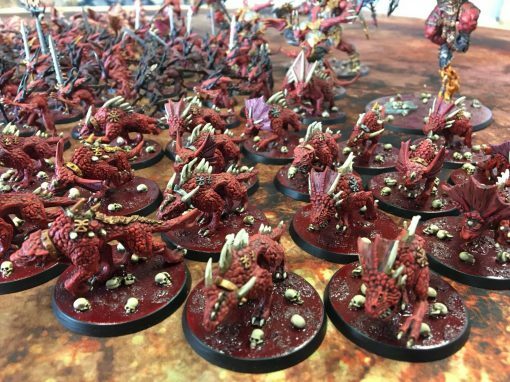 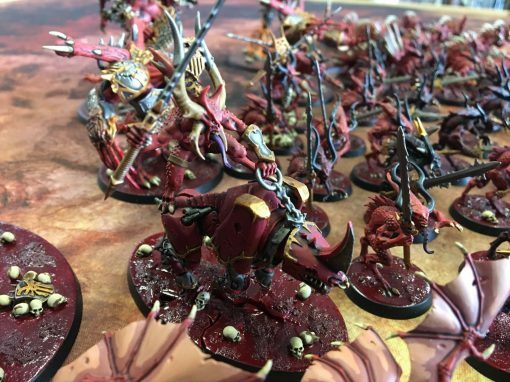 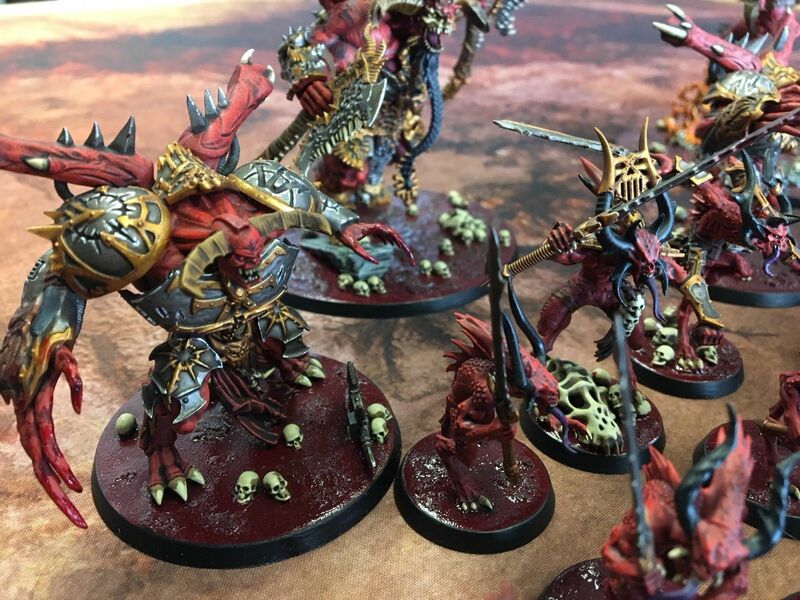 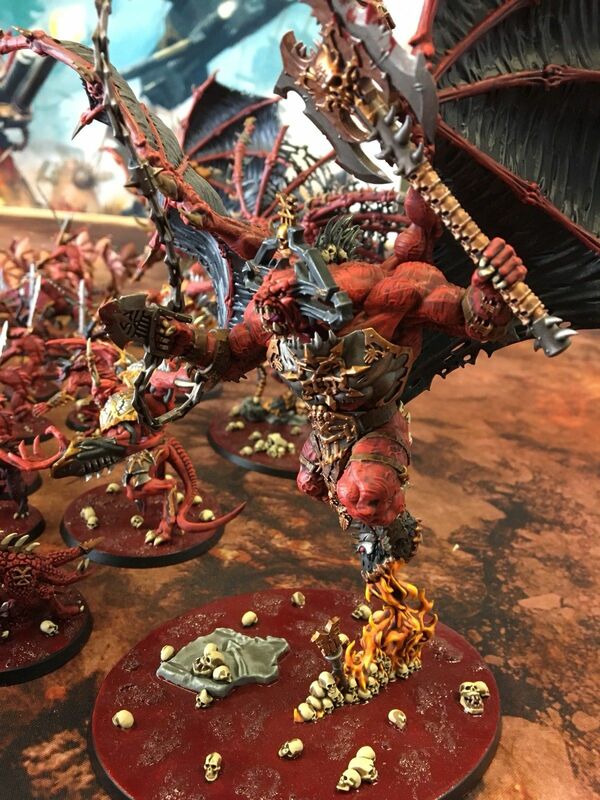 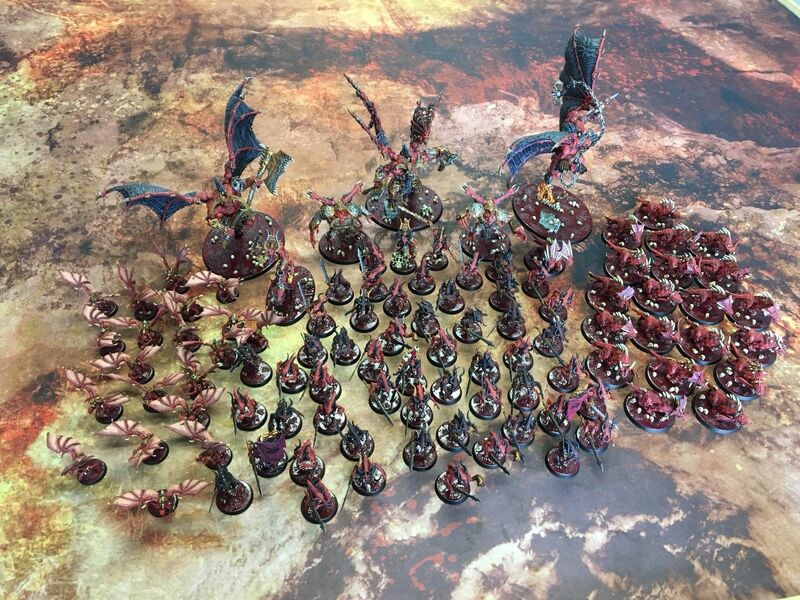 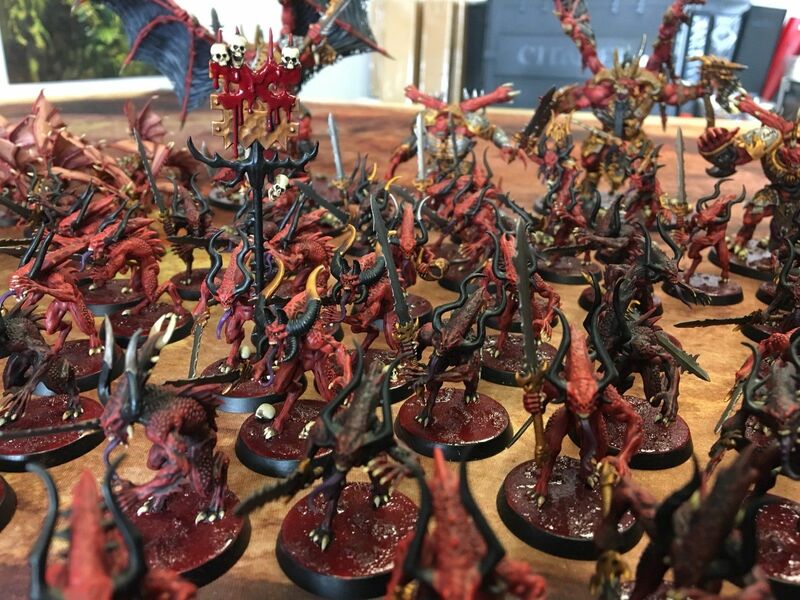 This spectacular Daemons of Khorne army painted by Max Aggression Gaming has many amazing details!! Such as gore drenched bases with expert precision eyes, many kit bashed models, armour damage, and more blood for the blood god!!! 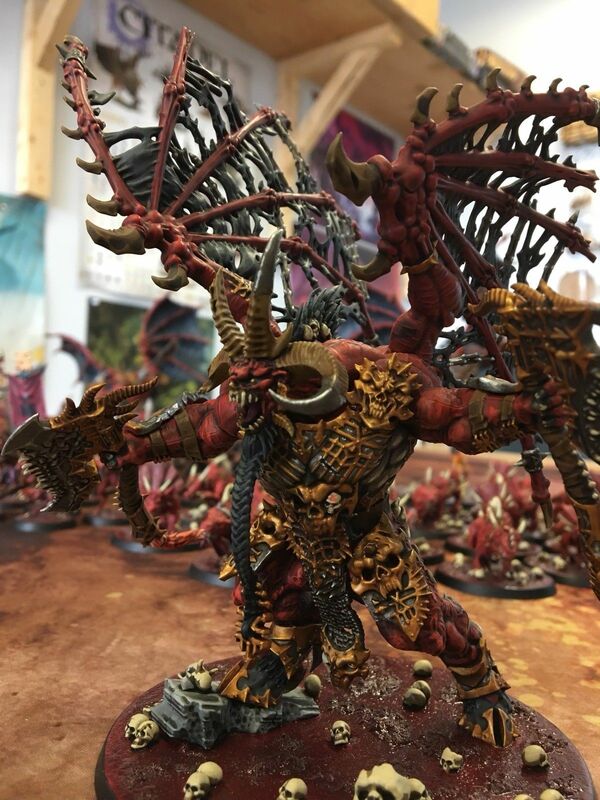 6 pots of blood for the blood god were used in the making…. 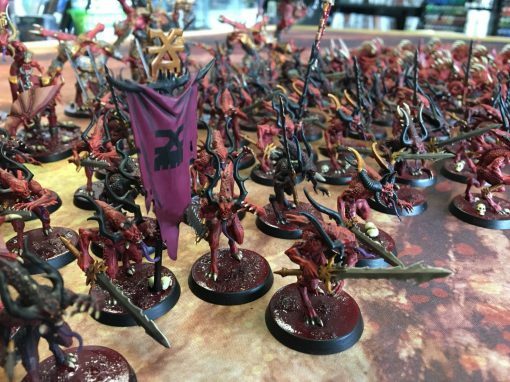 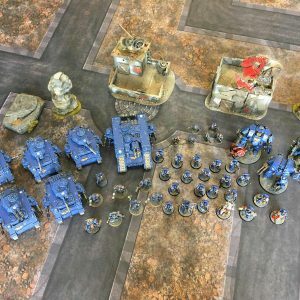 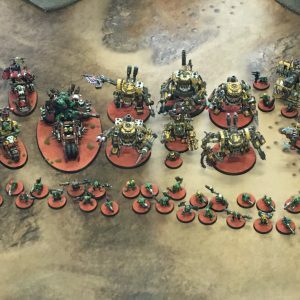 This army is useable in Warhammer 40k and Age of Sigmar it has also been featured in multiple Minwargaming videos!! All models consists of either plastic or resin no metal!!! 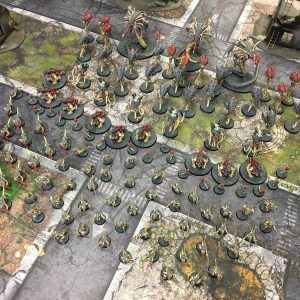 Check out Max Aggression Gaming online to find out more….